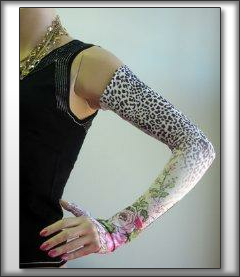 We have lymphediva sleeves for sale with many colors and style available now. Being able to offer this line of products in addition to other lymphedema garments is a great way to help women with their compression needs. Once you figure out exactly what type of garment you need and how much compression is then you’ll be able to find the perfect item in our store and have it arrive on your doorstep within a few short days. Helping woman all over the country is our main goal and we started to offer lymphediva sleeves for sale since there was a growing demand for a great resource such as us to have them available. 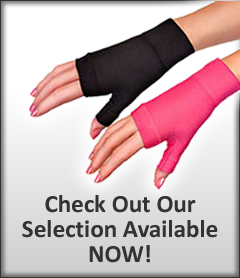 Since we carry many other items it only made sense to expand into compression sleeves and garments. Speaking of our other items, you’ll be pleasantly surprised to know that we have mastectomy bras of a wide variety available now as well. We are constantly expanding our selection of bras in addition to the breast forms that we offer. Being able to find the perfect breast form to fit the style and size of mastectomy bra that you purchase is important for a woman. The same principle applies with the lymphediva sleeves for sale that we carry; we know that you sometimes do not want to sacrifice style or comfort and you shouldn’t have to. We even carry mastectomy swimsuits and swimwear items so that you can enjoy the outdoors or even just a hot tub to relax in. Living your life is important and we want to help you accomplish your goals. When you have questions feel free to give us a call to find out more information. You can even email us for specific sizing information that you may be looking for. Our lymphediva sleeves for sale can be delivered to your doorstep within just a few short days! If you have never tried lymphedivas for your compression sleeves then you are missing out on some of the highest quality relief that you can get today. Our classy compression sleeves that are available now in the online store come in many different styles that will reflect the type of outfit that you are wearing that day. There’s no reason to sacrifice your unique look and not be comfortable with yourself when wearing one of our compression garments. Check out the compression section of our site to see the entire selection that we have available and check back often since we are usually adding lymphedivas and other new products to all of our categories fairly regularly. It’s great to know that you have Woman’s Personal Health behind you and there when you need great mastectomy products for an amazing price. We offer style and quality in all of our products because we know you are the type of woman that refuses to sacrifice even when you are in tough circumstances. One of our goals is to make sure that you are comfortable no matter where you go or what you do because you deserve that for yourself. Knowing that you can get lymphedivas and other great products such as mastectomy swimwear in our online store will give you the freedom to literally do almost anything that you would like to do in this life. We are glad to have great customers and strive to provide the best possible products at all times. There may be concerns or questions you have and we are here to help you get those concerns resolved in a timely manner. Feel free to either give us a call or send an email to find out more information regarding lymphedivas or anything else that we carry in our online store.